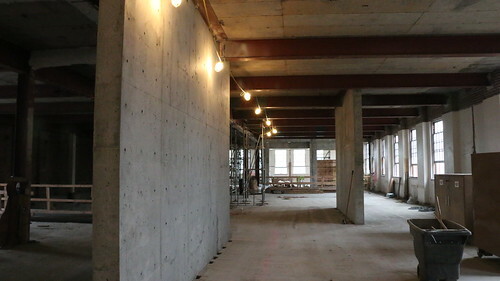 Improving the seismic safety of PPS buildings was an important component of the 2012 School Building Improvement Bond program and a priority for the District. The majority of PPS schools were built before WWII at a time when knowledge and concerns about seismic safety were very different from what we know today. The School Building Improvement Bond approved in November 2012 seeks in part to address the seismic safety issues found in many of our schools. The Bond work seismically strengthen schools through roof replacements, seismic rehabilitation, modernizations and incremental seismic improvement projects. The modernized or rebuilt schools, Franklin H.S., Faubion PK-8, Grant H.S. and Roosevelt H.S. are brought up to current seismic code. Alameda K-5 and Lewis Elementary were retrofitted and brought up to current seismic code using 2012 Bond funds and money from the Seismic Rehabilitation Grant Program from the State of Oregon. The 2012 Expected Seismic Performance (EPR) Ratings were used in the development and prioritization of schools for the 2012 bond. These classified Portland Public School facilities, by campus, into general groupings to describe their expected performance in an earthquake, using Good, Fair, and Poor. All Poor EPR schools in operation during bond planning were scheduled to receive incremental seismic improvements. For more information visit the Facilities and Asset Management Seismic page. Alameda K-5 School was seismically upgraded in summer 2013 using Bond funds and a $1.5 million Seismic Rehabilitation Grant Program award from the State of Oregon, administered through the Office of Emergency Management. View the Alameda bond work poster. Summer bond work includes incremental seismic strengthening. Typically, this work is one step of a phased approach to a complete retrofit to meet ASCE/SEI 41-13 Basic Performance Objective for Existing Buildings for Risk Category III buildings. The seismic roof strengthening during roof replacements, chimney and parapet bracing and hollow clay tile partition bracing along major routes of egress meet Damage Control for BSE-1E and Limited Safety for BSE-2E. Additional strengthening work will be required in the future to have structural performance complying with the ASCE/SEI 41-13 BPOE. The seismic renovation for Franklin, Roosevelt and Grant high schools will be designed to meet ASCE/SEI 41-13 “Seismic Evaluation and Retrofit of Existing Buildings.” ASCE/SEI 41-13 is a national standard published by the American Society of Civil Engineers / Structural Engineers Institute and is recognized by the state of Oregon as an acceptable code for seismic renovations and is considered state of the art. While the ASCE/SEI 41-13 performance level is often referred to as ‘Life Safety’, it actually consists of two performance levels, a slightly higher level for less intense earthquakes and slightly lower level for more intense earthquakes. The Basic Performance Objective for Existing Buildings (BPOE) used for these buildings includes two structural performance levels, Damage Control at the BSE-1E seismic hazard and Limited Safety structural performance at the BSE-2E seismic hazard. The intent of ASCE/SEI 41-13 design is to prioritize protection of the occupants, not the buildings.